Open source can be puzzling. It's now widely accepted that open source software is everywhere. Yet almost every day there is a new passionate debate around how to align the interests of open source creators and users. How can we ensure that the open source software we rely on continues to get even more awesome and more dependable? 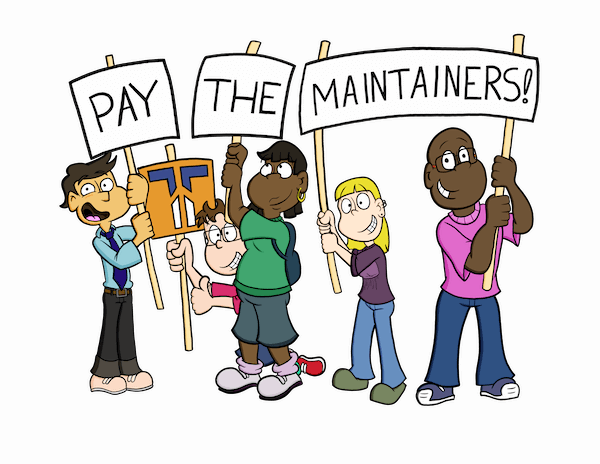 At Tidelift, we believe the solution is hiding in plain sight: pay the maintainers. We’re dedicated to creating an effective way to do just that, and today we’re announcing a major milestone on our journey, as we pass $1 million committed to pay open source creators on Tidelift. With the Tidelift Subscription, we make it easy for professional software teams to get one-stop shopping for security, licensing, and maintenance assurances for the wide variety of open source software they use. And from our research and our conversations with professional developers, we know that these assurances are in high demand. Think of the Tidelift Subscription like a Red Hat or Cloudera subscription, but for all of the other open source libraries you build into your applications from package managers like npm, Maven, PyPI, Packagist, and RubyGems. And with the proceeds flowing through to the actual open source maintainers behind that software. Tidelift makes it possible for open source creators to get paid by adding net-new valuable assurances around their software. 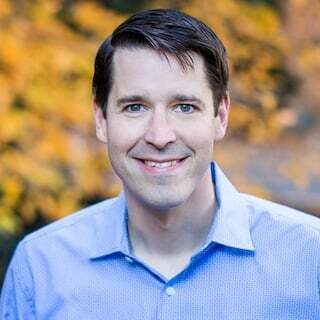 We add something useful that professional development teams want, rather than hiding existing and future capabilities away behind paywalls or curtailing your ability to use the software freely. Our model grows maintainer income as projects have more users, rather than as maintainers spend more hours, so it’s possible to build a significant income around your open source project. It's just. These individuals and teams are creating amazing value, and deserve to be supported and rewarded for doing so. We’ve been gratified to work with leading projects such as Vue, Material-UI, Babel, Gulp, Fabric, Active Admin, Doctrine, and StandardJS over the past several months to prove out this model. TLDR: It just makes sense, and it's working. Today we’re excited to announce that we’ve reached a significant milestone, with over $1 million in committed payments for maintainers via the Tidelift platform. We're also opening the doors for any open source project to register to participate in Tidelift. What does this mean for open source maintainers? We’re offering a guaranteed minimum $10,000 over the next 24 months to select projects. See if your project is eligible. Any open source project can sign up. You can register today to start encouraging your users to participate as subscribers, and start receiving subscription revenue for your project as it is available. Sign up. Working on Tidelift is a joy. Together, we are solving acute problems faced by professional software teams who build on open source software, and in so doing we are rewarding the maintainers of that software and supporting their work. You can play a part, today! If your organization builds software applications using open source components (hint: 92% do), then register for an open source software assessment to learn more about the open source software you depend on, and how the maintainers behind the Tidelift Subscription can keep your software secure, legally compliant, and maintained. If you contribute to an open source project, learn more about how you can get paid for doing the work you love. 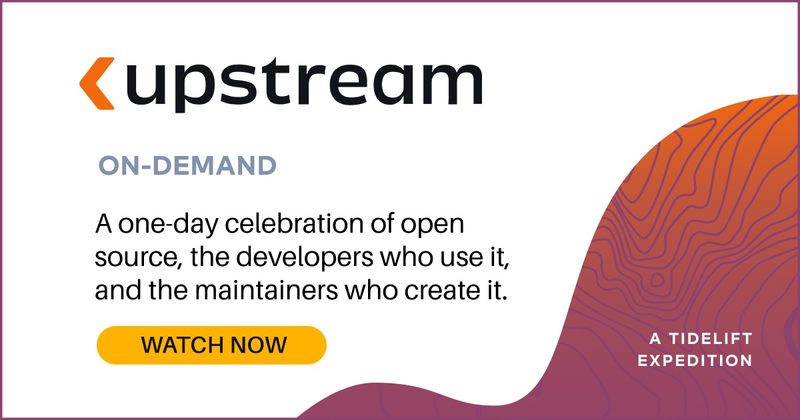 Whether you are a professional team building with open source or an open source creator, we invite you to join us in advancing this win-win approach to making open source better—for everyone.